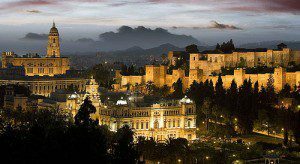 40.5 per cent of the tourists that visited Malaga last year, in 2011, and that made some kind of reservation, did it online, while the 59.5 per cent preferred to use other ways, according to the research of the City’s Touristic Observatory. This way, 92.7 per cent of the tourists that made some kind of online reservation, had to do with transport, while the other was for accommodation. Other services that were reserved, to a lesser extent, were the activities at the destination -1.8 per cent- and others, like travel insurance for example with a 2.4 per cent. The Touristic Observatory of the City, made by the town hall’s tourist board and Malaga University, gathers a complete characterisation of the city’s visitors, from a social, demographic and economic point of view, as well as motivation and behaviour. On the other hand, the airplane still remains as the main way of transport to reach the city, as it was chosen by 68.6 per cent of the tourists in 2011, followed by an owned vehicle, which was used by 19.5 per cent; followed by the train (check our prices for car hire at Malaga train station) and then the bus, according to the figures of the research. This way, the treatment received was the best valued aspect with an average mark of 8.8, although other aspects also stand out like the accommodation, the gastronomic offer, the cultural offer, the leisure offer and its opening hours, and the security, all with marks above eight. What about this year? will you make your reservations online and well ahead of time?